Thanks to all our donators for our rush rice wreath support project! This project would not have been made possible and this successful if it weren’t for our gracious donators! Here is a picture of the rice wreath as well as the pic on the rice wreath which was designed by our graphic designer, Sara. 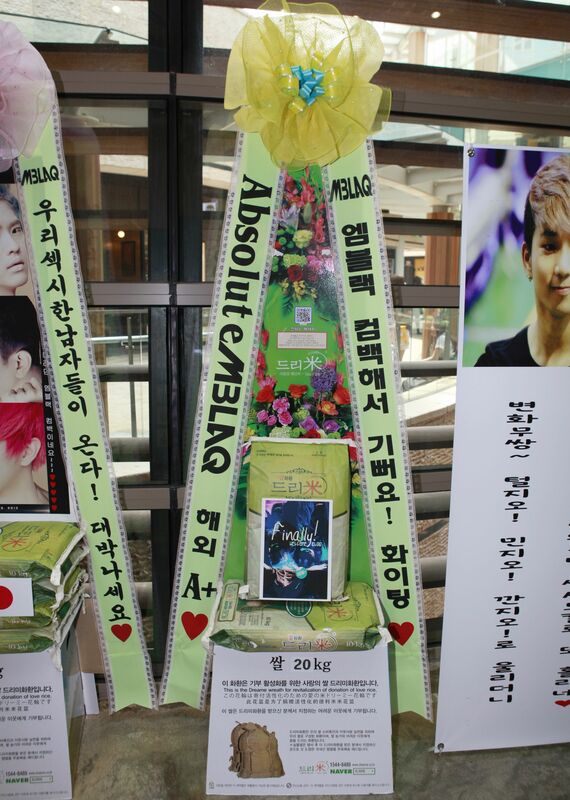 In addition, the listing of rice wreaths including our AbsoluteMBLAQ’s rice wreath. Furthermore, we want to let you know that there were donations that came in after our rice wreath was ordered as the deadline was up or else we would have upgraded our wreath. Therefore, we will be using it in the future for projects. **Will update if more pictures or bigger ones come out.